Do you want strong self-confidence and a healthy body? If so, dental checkups are important! Studies show that people with a healthy, attractive smile have much more faith in their image. They're viewed by others as intelligent, successful, and friendly. Additionally, research tells us that periodontal disease contributes to many systemic health problems, ranging from Alzheimer's disease to heart disease. At BGH Dental, we recommend good daily dental care at home, as well as checkups and cleanings at least twice per year. 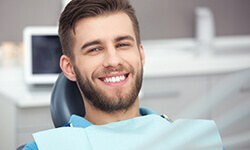 At your dental checkup, the dentist will thoroughly assess your mouth for signs of cavities, cracks, chips, worn dental work, and misalignments. Your dentist will evaluate your soft tissues for abnormalities, like lesions, bumps, or gum inflammation. In addition, your checkup will include evaluating jaw misalignment, proper occlusion, and head and neck health. We may take photos and X-rays of your mouth, as well. By attending a comprehensive dental checkup at least twice a year, you'll allow us to detect problems, or potential problems, in their earliest state when intervention and treatment are most effective. 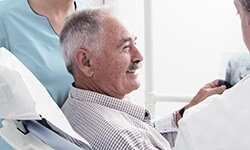 After the clinical part of your dental checkup, your dentist will take time to explain his or her findings, make recommendations for treatment (if necessary), and answer all of your questions about dental care and oral health. We may reference your dental photos or X-rays during your consultation so that you can understand your state of oral health. If you have concerns outside of what the doctor covers – if you're anxious about dental care, experience frequent headaches, or want to explore cosmetic dentistry – the consultation is a great time to ask questions. With your input, the doctor can devise a practical treatment plan that suits your needs and goals. If you require restorative dentistry, don't delay treatment. Cavities, infections, and tooth damage will not heal naturally. Professional treatment is required to restore and sustain good dental health. Before you leave our office, we'll schedule your next visit, either for your next checkup or treatment. If you have questions about payment or billing, please let us know. You should feel informed and comfortable regarding the financial aspect of your dental care. We believe in treating you in the least invasive, most cost-effective manner, and regular cleanings underscore this effort. Though hormone fluctuations and certain medications contribute to gum disease, the main cause is plaque buildup. Good daily homecare can reduce the amount of plaque buildup in your mouth, but only a professional dental hygiene visit or cleaning can sufficiently remove the hardened plaque, called tartar, that builds at the gum line and between teeth. Plaque and tartar are made of bacteria, and they also produce bacteria. When plaque irritates gum tissue, bacteria eat away the connective tissue between teeth and gums to form periodontal pockets of infection. Over time, periodontal pockets can grow and wreak havoc on oral health. By attending a dental cleaning at least twice a year, you'll allow our hygienist to remove built-up plaque and tartar, which will reduce your risk for gum disease. The hygienist will also evaluate your teeth and gums. If a pocket over 3mm forms, gum disease is a concern. In some cases, altering home hygiene habits and products can help. Other situations require a deep cleaning. A deep cleaning involves scaling and root planing. During scaling, the hygienist will remove tartar and plaque build-up from teeth, below the gum line. Root planing involves smoothing rough ridges on teeth roots, where plaque tends to accumulate. We may apply topical antibiotic to fight infection, as well. Although most patients experience significant improvement after a deep cleaning, gum disease is a chronic condition that can flare up at any time. You may be advised to attend more frequent cleanings and periodontal checkups until your condition improves. Sometimes additional periodontal treatment is necessary, which may require the involvement of a periodontal specialist.